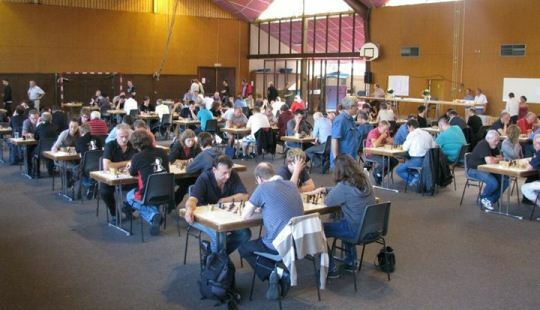 Grandmaster Tigran Gharamian emerged winner in the grueling chess marathon that was held on 28th and 29th September at the Sports Hall C.O.S.E.C. – Place des Dragons in Saverne, France. The tournament started on Saturday at 4pm and lasted for 24 hours straight! Hot and cold catering was provided to keep the players focused. Gharamian collected 28 points from 32 games, narrowly edging FM Patrice Lerch who finished second with 27,5 points. The time control was 20 minutes per player and the total prize fund was 3000 EUR.